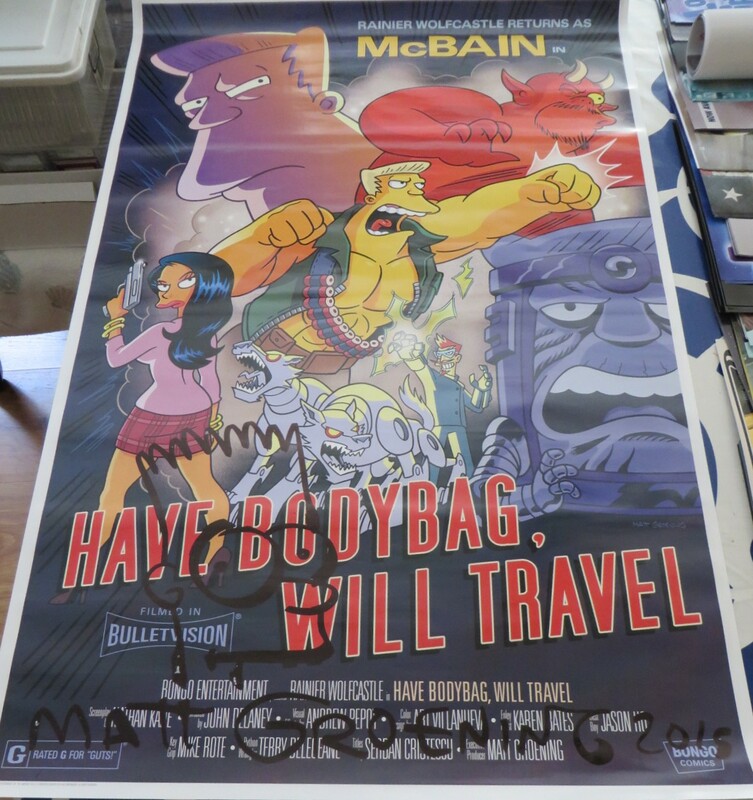 Roughly 27 by 40 inch The Simpsons McBain Have Bodybag, Will Travel faux movie poster autographed, doodled with Bart Simpson's head and dated 2015 in thick black marker by Matt Groening, the legendary cartoonist and creator of the show. 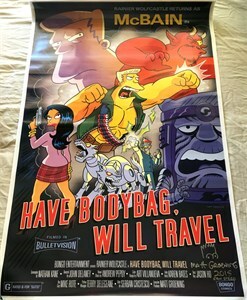 Obtained at 2015 Comic-Con. With certificate of authenticity from AutographsForSale.com. Has very minor handling flaws. ONLY 3 AVAILABLE FOR SALE.